To kick off June, we had a Wellness Workshop about Self-Care for Stress at The Hatchery! On June 2, had 8 guests join us to learn about natural ways to deal with the constant stress of being an entrepreneur. We introduced the endocannabinoid system and the role it plays in keeping your body healthy during stress, as well as touched on a variety of ways you can support it, including with nationally available and legal CBD products. This was a hands-on workshop, and all guests had the opportunity to make a Relief Roller with CBD and their choice of essential oil, an herbal blend that can be made into tea, added to a bath, or smoked/vaporized, their own facial sheet mask, and even try a CBD-infused snack — a Rosebud CBD-enhanced fruit dip served with fresh Columbia Farmer's Market strawberries and Strawberry Hemp Granola from local Lucky's Market. Guests left with the know-how and resources to recreate all these things on their own, including recipe cards and notes from the class! 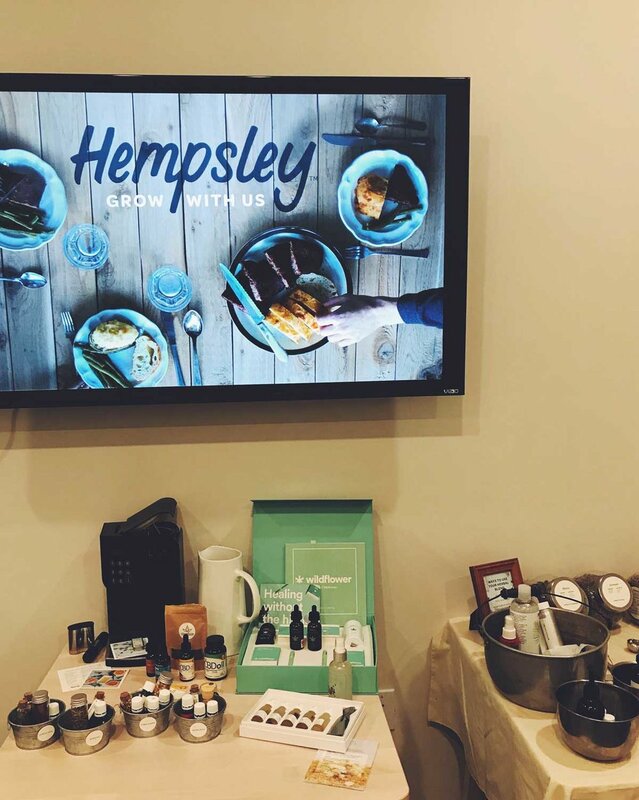 Guests also had the opportunity to sample products from our favorite CBD companies, including Wildflower, Steepfuze Coffee, PlusCBD Oil™, and even Verte Essentials (review coming soon!). Interested in hosting a Wellness Workshop for your office or a small group of friends? & be sure to check out our calendar to see upcoming events!